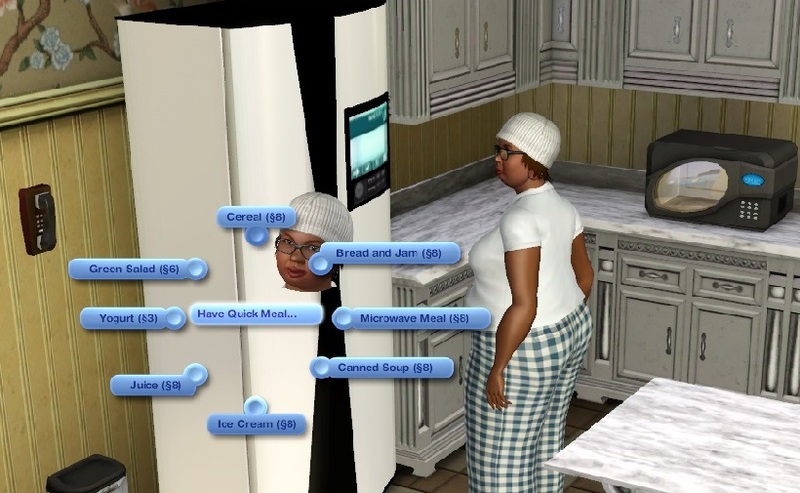 Ever been bothered by the fact that quick meals in the game cost no money, no ingredients, and no effort on the sim's part to make? This mod makes it so that each quick meal requires a new custom ingredient so that just like any regular cookable recipe in the game, it will cost money to make a quick meal without its required ingredient. This way, though lazy sims can till get away with just opening the fridge and/or reheating something in the microwave on occasion, they'll have to pay for the meal at the very least. This mod affects making quick meals by clicking on the fridge and microwave oven. 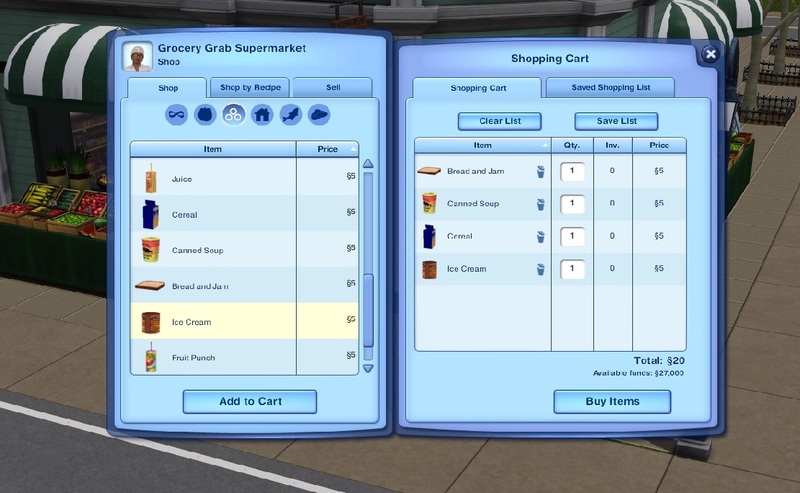 Also with this mod quick meals from the University Life mini fridge will always cost money since that interaction does not use up any ingredients. Though it is possible to make a quick meal require an ingredient, none of the in-game ingredients really made sense for them I found. Even when they did, e.g. Juice requiring fruit, doesn't the idea of an apple instantly transforming into a juice box the moment a sim opens the fridge seem a bit too whimsical, even for this game? So instead, the mod takes each quick meal from the game and repackages it as a new ingredient item of the same name which is then required to prepare the meal. So Cereal will require the "Cereal" ingredient while Juice requires a "Juice" ingredient, etc. with the "logic" being that these "ingredients" are all prepackaged food items that can be bought at the store and "quickly" turned into their corresponding "quick" meal (probably the most inverted commas I've used in a sentence ever). The quick meals that require microwaving can be seen as frozen meals, which is why most of them look exactly the same as their cooked versions. Why does a bowl of cereal use up one whole box? Why are the juice boxes sold with a straw already poked in? Why does the "Canned Soup" look decidedly unmetalic? What happened to the jam in the "Bread And Jam"? If you saw a piece of bread already spread with jam at the supermarket would you actually buy it? Lastly, if any talented and generous soul out there would like to share more sensible meshes for these custom ingredients, that would be very much appreciated.